A star-studded campaign featuring some of the U.K.'s best known black and Asian people is aiming to boost the numbers of people from these communities donating blood. Less than 3% of people who have given blood in England in the last 12 months come from black and Asian communities -- however people from these communities are more likely to have rarer blood types and conditions such as Sickle Cell Disease, which require regular blood transfusions. 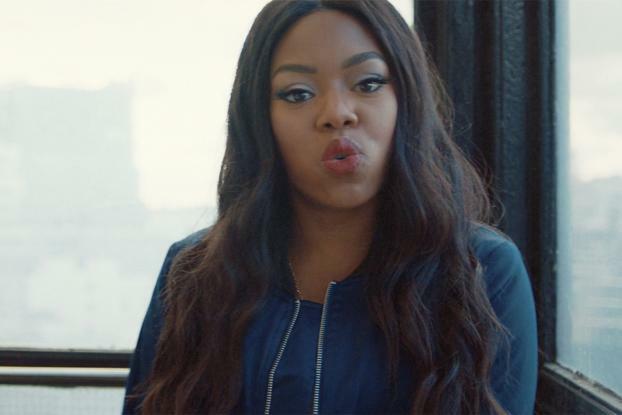 NHS Give Blood has teamed up with the MOBO (Music of Black Origin) Awards for the video, which is fronted by grime artist Lady Leshurr performing an original rap. Celebrities including Olympic boxing champion Nicola Adams, TV presenter and wheelchair basketball player Ade Adepitan, Labour Party politician Chuka Umunna and Muslim model Mariah Idrissi appear alongside singers in a gospel choir and NHS staff in the video, as Leshurr's inspiring lyrics encourage people to becoming anything -- including a donor. The campaign is by Mullen Lowe London, and the video was filmed by director Rohan Blair-Mangat for Iconoclast. Richard Denney, MullenLowe London executive creative director, commented in a statement: "When you see a statistic as shocking as the one in this film our job becomes clear. It's not just to advertise our clients, but to use creativity to reach a community that aren't otherwise engaged and inspire them, with the simple act of registering and giving blood, to save lives."